If you're looking to refresh your summer style, start with your correspondence closet! Update your summer look with hot new styles from your favorite designers like Vera Wang, William Arthur, Shawn Rabideau, and more! Floral prints and flowers are all over the fashion scene and can be scene on bedding, dresses, shoes and other fabrics. Translate this style to your personal stationery. Flowers are feminine and fun pieces that are classic for any occasion that requires a thoughtful handwritten note. Whether you are a soft peony or a strong poppy, there are hundreds of styles of beautiful personalized note cards for you at FineStationery.com! 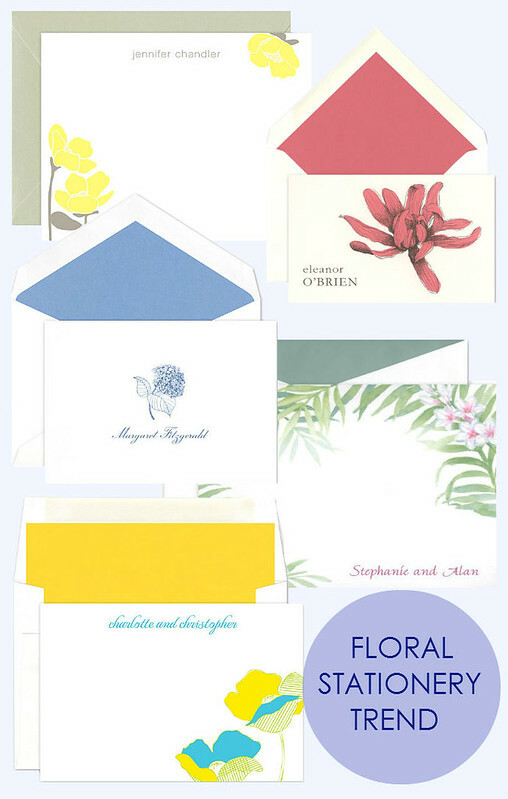 Shop all floral stationery on FineStationery.com here!